4+4=4 is about the lives of very different people. They exist in the real world and in the vertical world. Where do they fit? Watch them move on a common ground and share their very separate world, transposed into the vertical space. 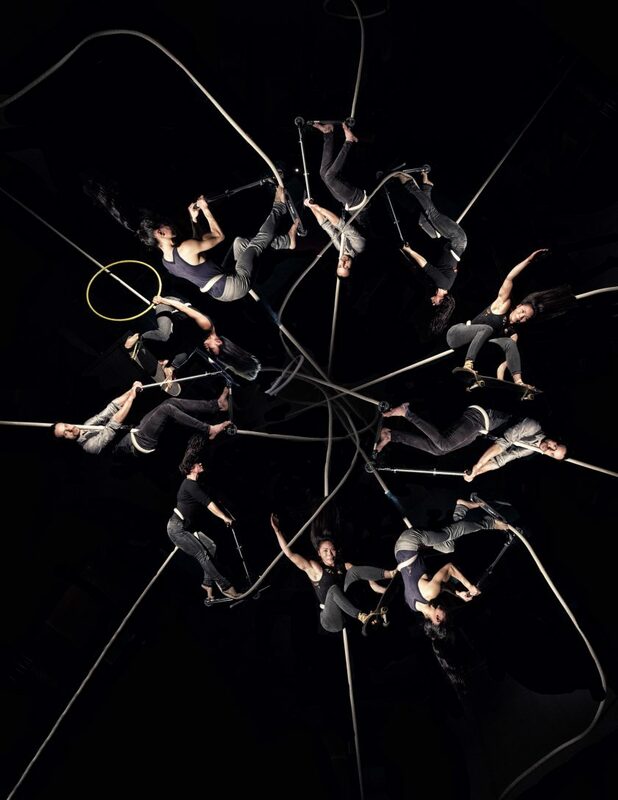 A quirky aerial performance with a surreal twist. Driven by their common passion for the aerial movement, The Xamels came together in 2016 to celebrate diversity and to challenge labels and societal pressure for individuals to fit into ‘pre-determined categories’. The Xamels’ cultural background stretches beyond boundaries. Their professional lives are just as eclectic. You might have seen them perform at Melbourne Fringe and Perth Fringe World festivals.